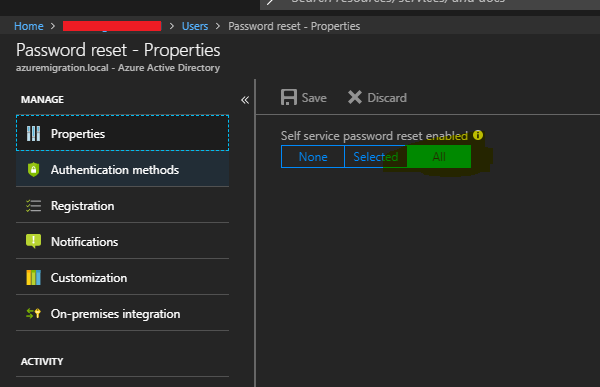 I have a problem with portal.azure.com user password reset. 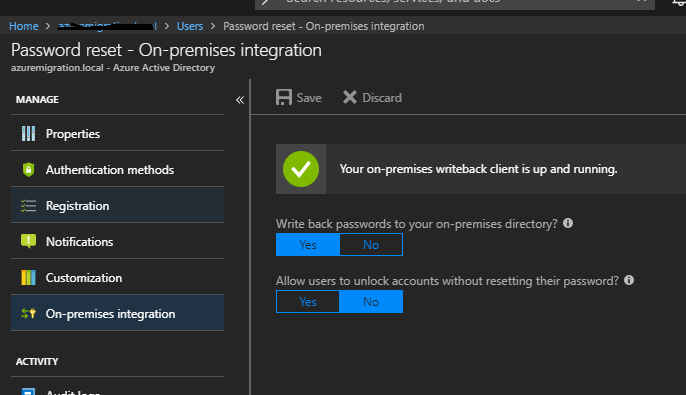 I have configured hybrid identity with single sign on in azure AD and onpremis AD. The connection was made via Azure AD Connect. but users made in in Azure Active Directory (for example "admna" in the below image) can be reset. This same azure tenant has a office 365 tenant as well. If i reset a user password via office 365, reset successful yet, then there are two passwords, one for onpremis windows login and the other is for office 365 . 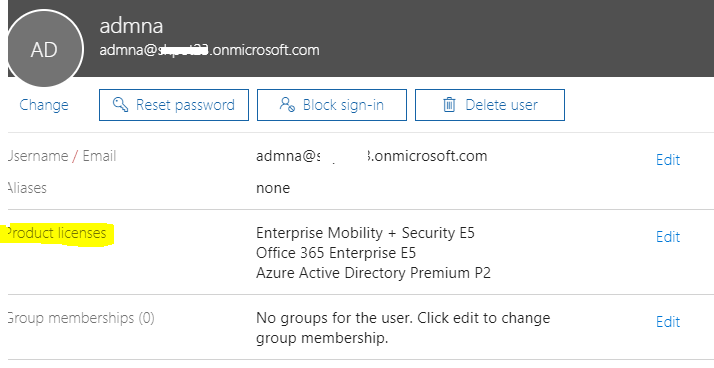 Apparently office 365 can reset password and its not sync to the local AD, while Azure portal cant reset password at all . I can reset passwords via local AD and successfully sync to the cloud.If i reset via local AD and it will sync without any issue. 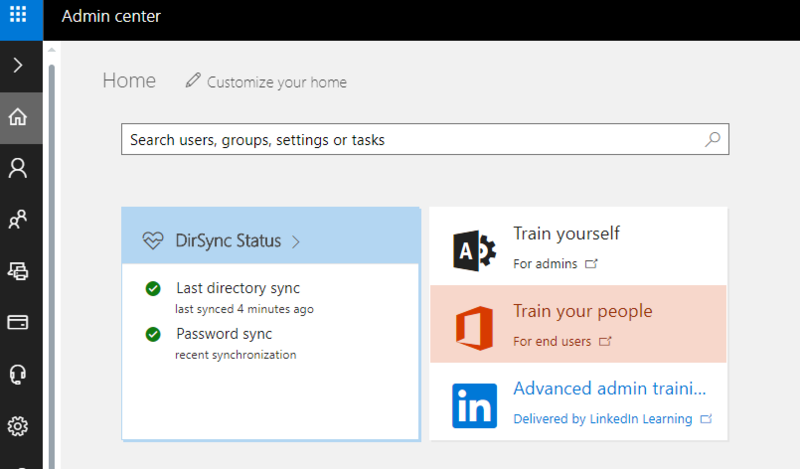 Apparently sync works one way from local to Cloud and not vise versa. 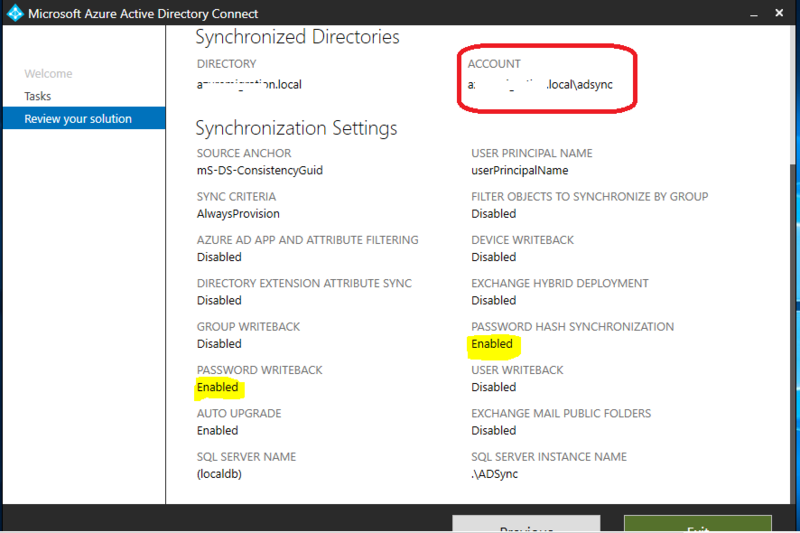 and here is my AD connect settings, Where "Adsync" user is a enterprise admin. Please guide me what I'm messing up? which direction I should take to troubleshoot/fix this? any help would be appreciated . Thanks in advanced for you valuable time spent on this. (1)Self service password reset should be turned on. and from onpremis integration "write back passwords to onprmises directory" should be enabled. and also this needs azure p2 or similar license and besides when a user loggs in it will ask to provide mobile/and different email. Users themselves can reset password now and Passwordwrite works and sync works as expected. Not the answer you're looking for? Browse other questions tagged active-directory azure single-sign-on azure-active-directory azure-active-directory-ds or ask your own question.